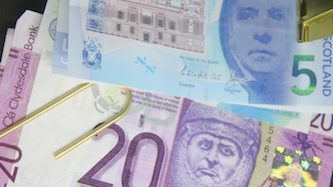 The Scottish Parliament has approved the 2019-20 Scottish Budget which the Scottish Government said provides £42.5 billion of investment in the economy and public services. MSPs voted by 66 to 58 to approve the plans. The Budget came on the same day that the Scottish Government’s Chief Economist published a report showing that a ‘No Deal’ Brexit could cause Scottish gross domestic product (GDP) to fall by up to 7% and for up to 100,000 jobs to be put at risk. Mackay said: “The passage of the budget provides £42.5 billion of investment in our public services and economy delivering for the people of Scotland today, whilst building for our future. “This is a budget that ensures stability, sustainability and economic stimulus. “Scotland’s economy continues to grow and unemployment is at the lowest on record but our prosperity is being put at risk by the increasing Brexit uncertainty, and in particular the ‘No Deal’ scenario. “Today’s Chief Economist report shows that a ‘No Deal’ Brexit would be expected to push the Scottish economy into recession during 2019, with the potential for the economy to contract by between 2.5% and 7% by the end of 2019. “Such an economic slowdown would risk a rise in unemployment from its current record low, with up to 100,000 more people in Scotland made unemployed. “This would be an economic shock on the scale of the 2008 financial crisis, and this cannot be allowed to happen. “However, while we will do everything we can to prepare, we will not be able to mitigate all of the impacts of the UK Government’s Brexit approach.